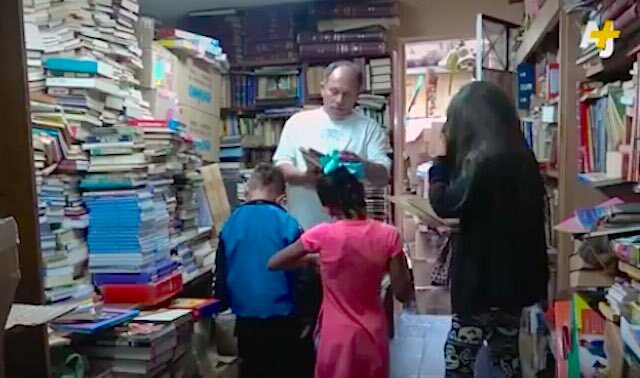 This garbage man hated to see all the books in the trash bins of wealthier neighborhoods—so he started salvaging them to create a new library for his own neighborhood. It all began 20 years ago when Jose Alberto Gutierrez of Bogota, Colombia found a copy of Leo Tolstoy’s Anna Karenina in with the rubbish. When he decided to rescue the book from the trash, it created a “snowball effect” that inspired him to continue saving discarded literature. Gutierrez has since collected over 20,000 books that now make up his own free library, aptly named “Strength of Words”. Every single room of his house is overflowing with literature, which he opens up to community children on the weekends. South Bogota is a poorer area, which makes finding books that are freely available much more rare than in other neighborhoods. Thanks to Gutierrez’s efforts, however, local children now have a host of resources at their disposal. He also has started shipping books to other regions that experience a lack of literature. Gutierrez doesn’t limited his book-lending to children, either – the trash man has sent books to FARC rebels who are preparing to assimilate into civilian life, according to the BBC.